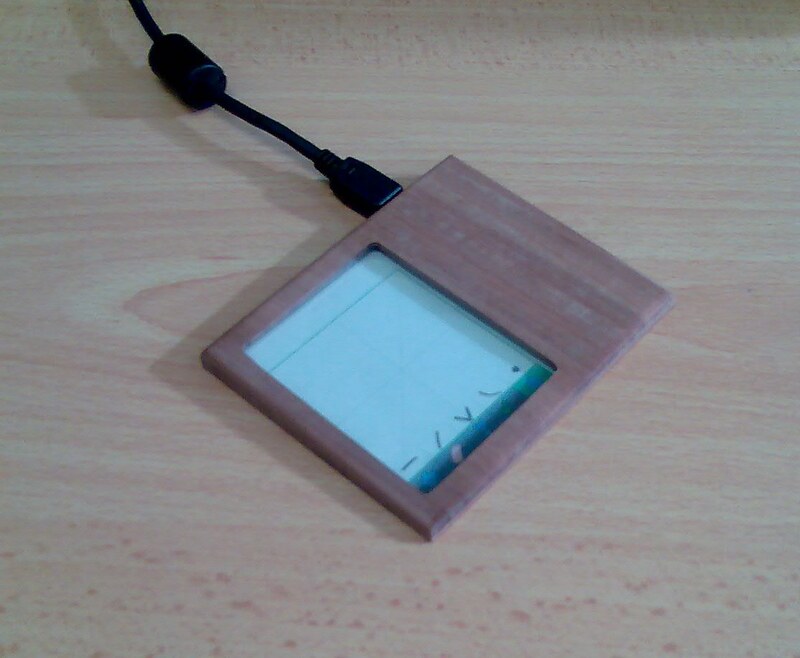 New touchscreen, wood case, direct USB. I know, terrible photo, but that's the best my phone cam can do. It looks heaps better in real life. This is a straight USB device, connected directly to my PC, and with no need of an Arduino. As far as the PC is concerned, it looks like a USB mouse, except that the coordinates are absolute, not relative. There's a microcontroller inside the case: A Teensy 2.0 running LUFA. Can you post all of the components you used in this project? I like it, and I may create one for my Linux Drivers class project. I will be posting source code and instructions as soon as I can. It may not appear for several more weeks though.